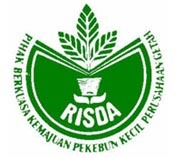 Rubber Industry Smallholders Development Authority (RISDA) Building in Jalan Ampang, Kuala Lumpur has installed 42 units of R2 and R2i FingerTec readers at their premises early this year. According to Mr. Nornekman Abdul Razak, Managing Director of CD Integrated Sdn Bhd, the system integrator company that is responsible for the implementation of this project, RISDA was looking for biometrics device mainly for monitoring of the staff attendance. They were focusing on eliminating ‘buddy-punching’ and tailgating occurrences amongst the employee. Each department needs to generate attendance report and monitor staff movement to achieve this objective. At the same time as well, they have their security issues and they wanted to limit the movements of visitors when they are inside the building. 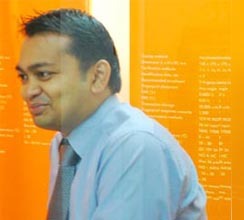 Mr. Nornekman Abdul Razak, Managing Director, CD Integrated Sdn. Bhd. Recently, RISDA has installed FRIS II centralized data server software to centralize the database storage of multiple FingerTec terminals from 15 departments of around 700 users. With the availability of FRIS II, individual department officers can define their own clocking schedules, edit time attendance data and print their own departmental reports using TCMS V2 software. As a systems integration and consulting company, CD Integrated Sdn.Bhd. offers tailored-made solutions using the latest technology and key components. With this approach, they are able to bring together vast resources of skill-sets and products to meet the industry demands. Mr. Nornekman also added that, “we work on the basis of knowing our clients needs. We would definitely promote FingerTec should the requirements or specifications of our clients are in biometrics”.